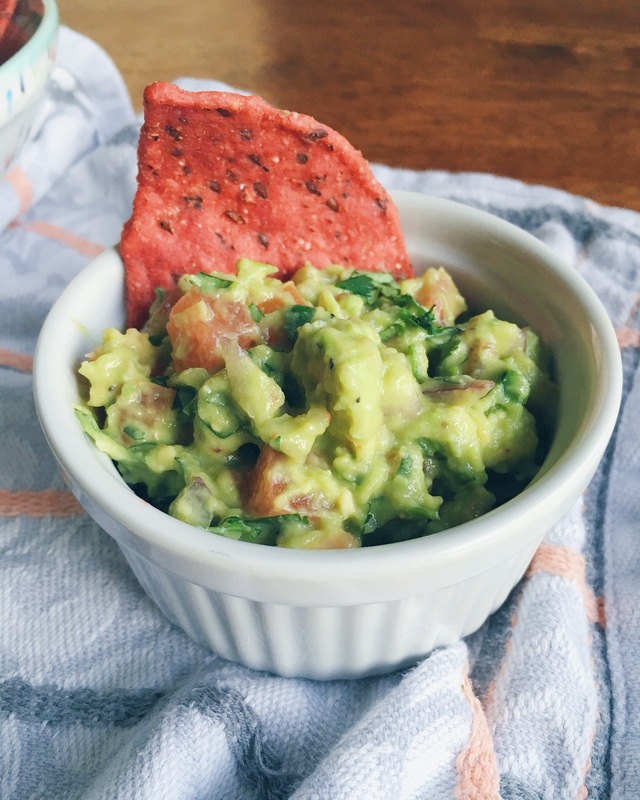 Hope you enjoy this guacamole recipe as much as we do! If you give it a try let me know in the comments what you think! Wash and dry all fresh produce. 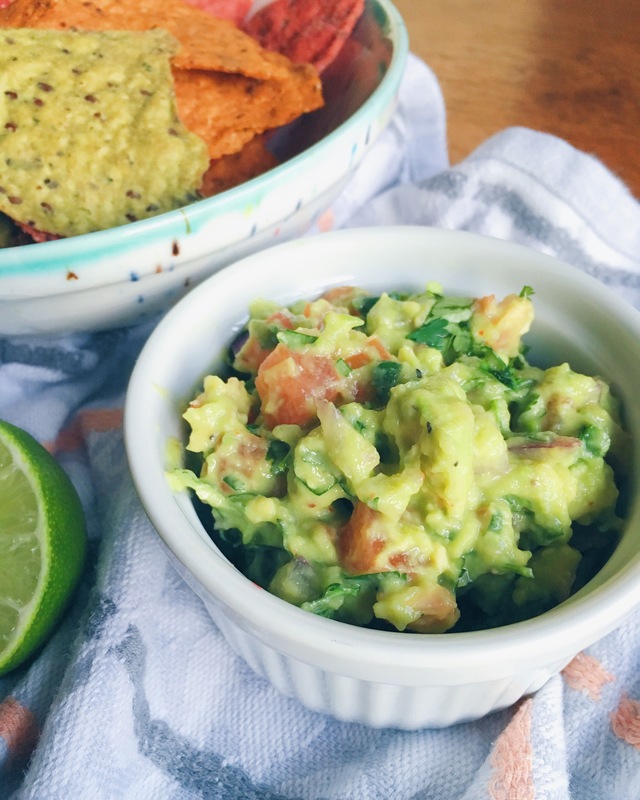 For the avocados, remove pits, cube avocado flesh and add to a large mixing bowl, using a fork or the back of a spoon smash the avocado to desired consistency before adding in the other ingredients. 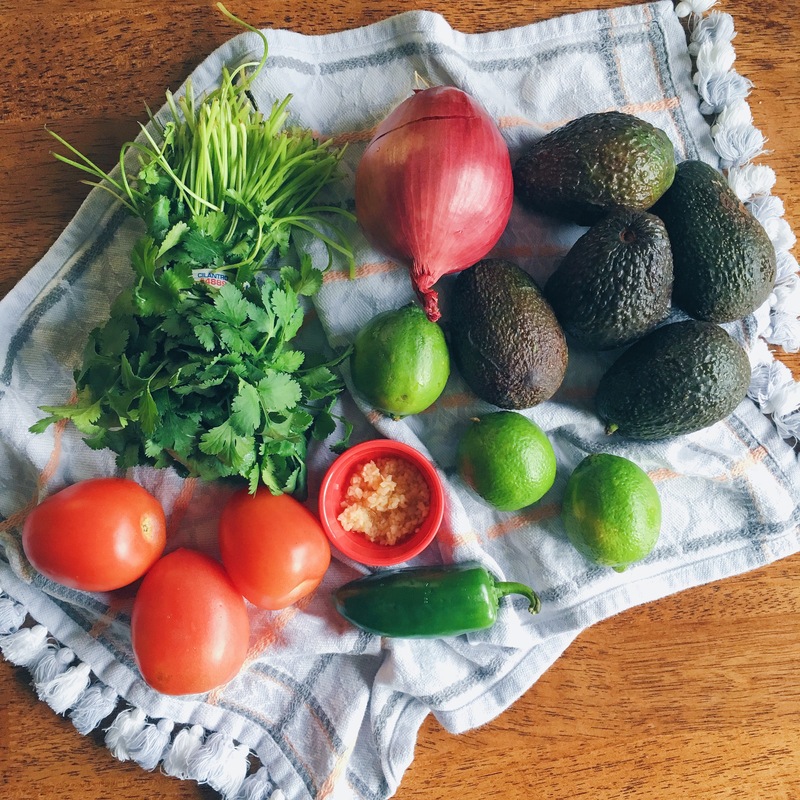 Next dice the red onion and roughly chop the fresh cilantro adding to the bowl of mashed avocado. Remove the tomato seeds and dice the tomatoes, finely chop the garlic adding to the bowl. 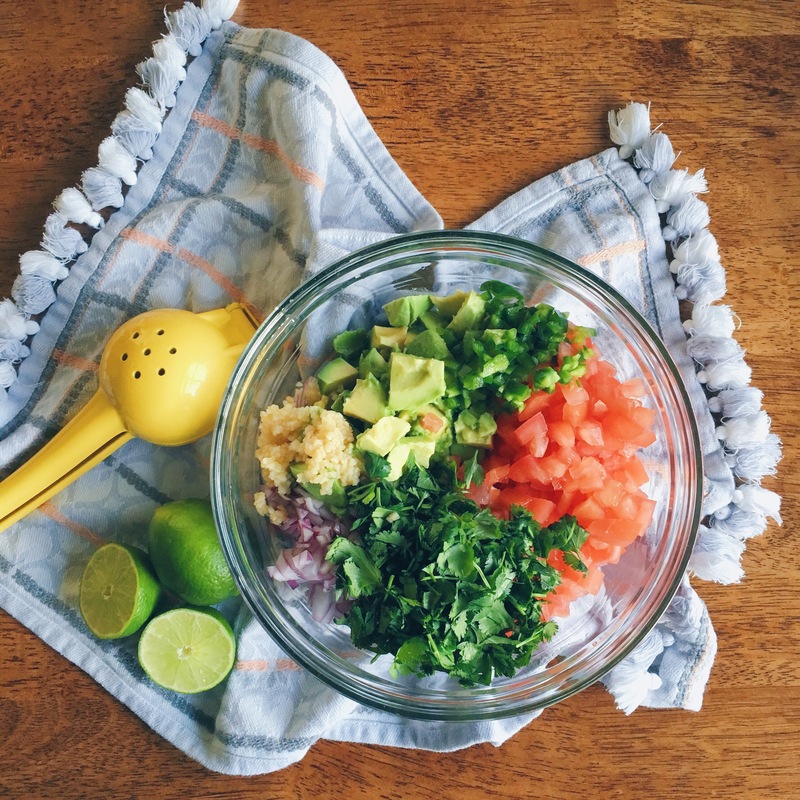 For the jalapeno, remove the stem and cut the jalapeno in half, remove all seeds and white membranes and finely dice, adding to the bowl. Juice the two limes into the bowl, and add the salt, chili salt, and black pepper to the bowl. Give it all a good stir, and mash up a bit until all of the ingredients are well combined. 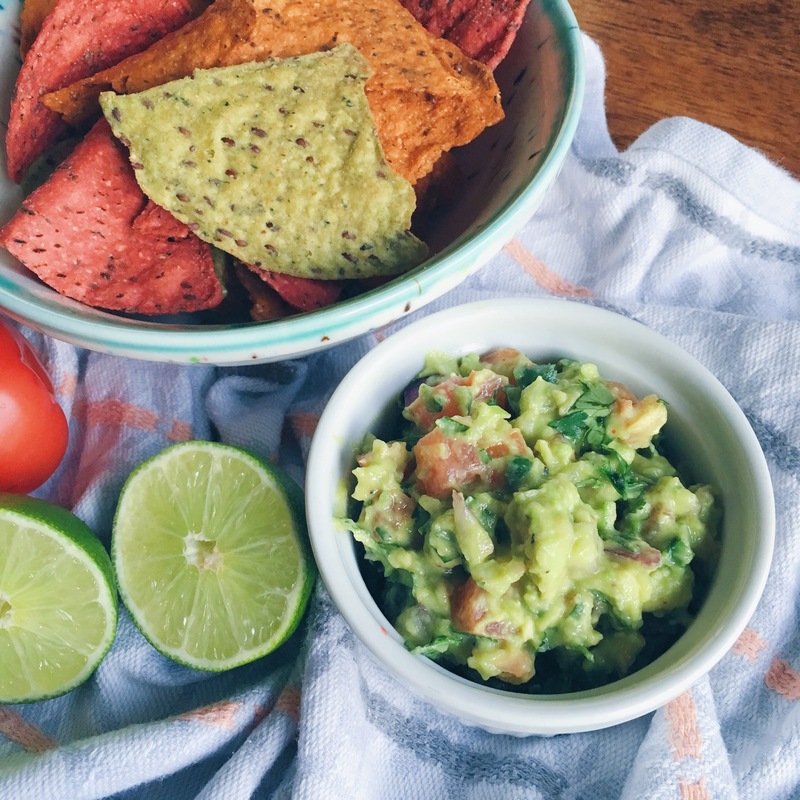 Give the guacamole a taste with chips and add additional salt or chili salt as needed. 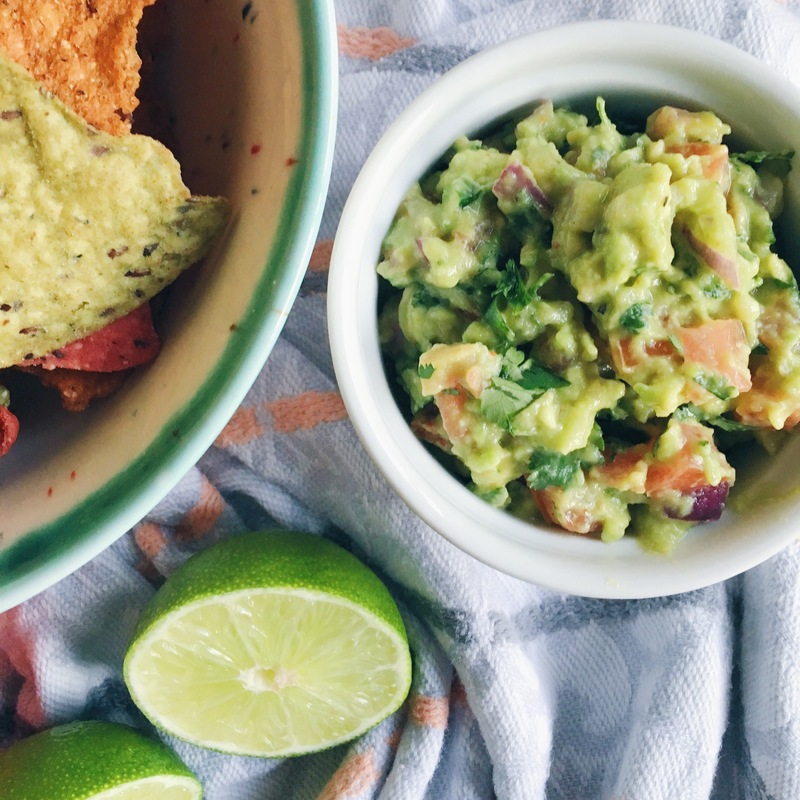 Serve immediately, or if you’d like to store in the refrigerator it’ll be best for about 24 hours. 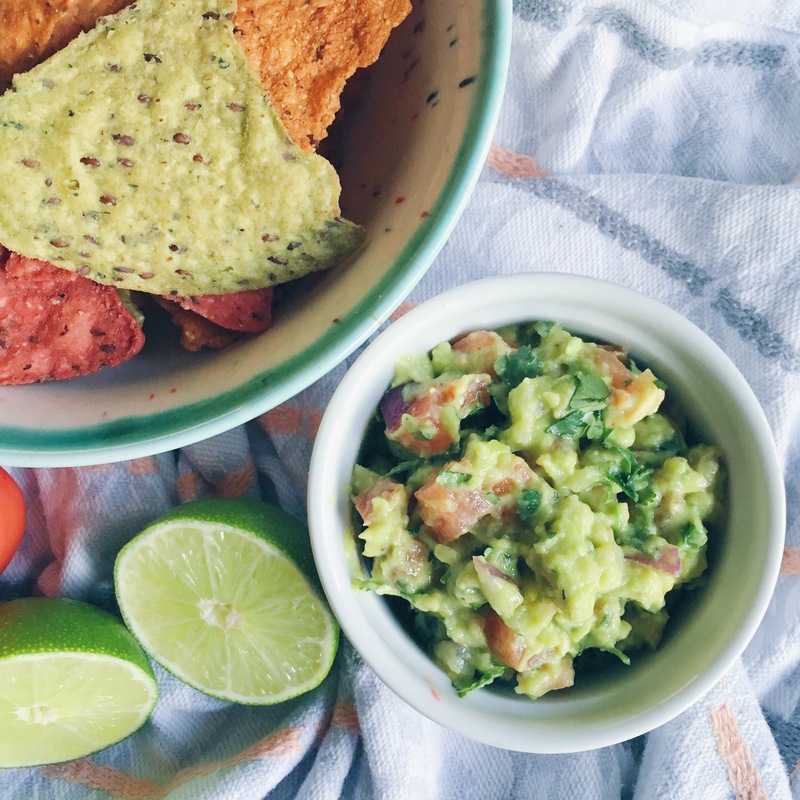 To help keep the avocado from browning, put the guacamole into an airtight container smoothing out the surface with a spoon and cover with a piece of plastic wrap directly on the guacamole pressing out any air pockets, then cover with the containers cover.